Sometimes, no matter how much you prepare, your race doesn’t go as expected. HS Ambassador Joe Dean found out the hard way when unexpected illness stuck in the middle of his 100k race. In this blog post, Joe discusses his first time dealing with mid-race nausea, overcoming the disappointment of a DNF, and how he found the silver lining in a race that didn’t turn out quite the way he planned. I remember it clearly…it was October 22nd of last year, the day before my birthday. Still hunting for a Western States qualifying race for the upcoming year to keep my lottery streak going when someone from the Wasatch Mountain Wranglers posted about the Gorge 100K. I wasn’t sure I wanted to run a 100 miler in 2016 after still feeling the effects of the Bear in the previous month, so a 100K sounded ideal. I glanced at the race; an out and back course in the heart of the Columbia River Gorge in Cascade Locks, Oregon. Having never been to Oregon, and joining on the heels of 14 other members of the Wranglers, I decided to sign up (which was a good thing because it sold out in a day). As race day crept up, instead of flying up, my buddy Ryan and I decided to pull the pop-up camper out of storage for the first trip of 2016 and make an adventure out of it. We stayed at Ainsworth State Park, which was about 5 miles away from the Start/Finish area for the race. If you have never been to the area before, let me say that there is not a lot of real estate between the mountains and the Columbia River, which means that the campground and the train tracks were right next to each other. I think I may suffer from PTSD for some time to come at the sound of a train whistle, but hey, we did say we wanted an adventure! Train whistles aside, the views were absolutely worth it. We arrived Thursday night and did the tourist thing on Friday. I must’ve been tired from the loaded day on Friday because I managed a solid 6+ hours of sleep despite the best efforts of the passing trains. I felt ready to go in the morning. My only concern was an out-of-whack right knee that was bothering me for the 8 weeks leading up to the race and was about 80% healthy (which thankfully did’t give me any problems). 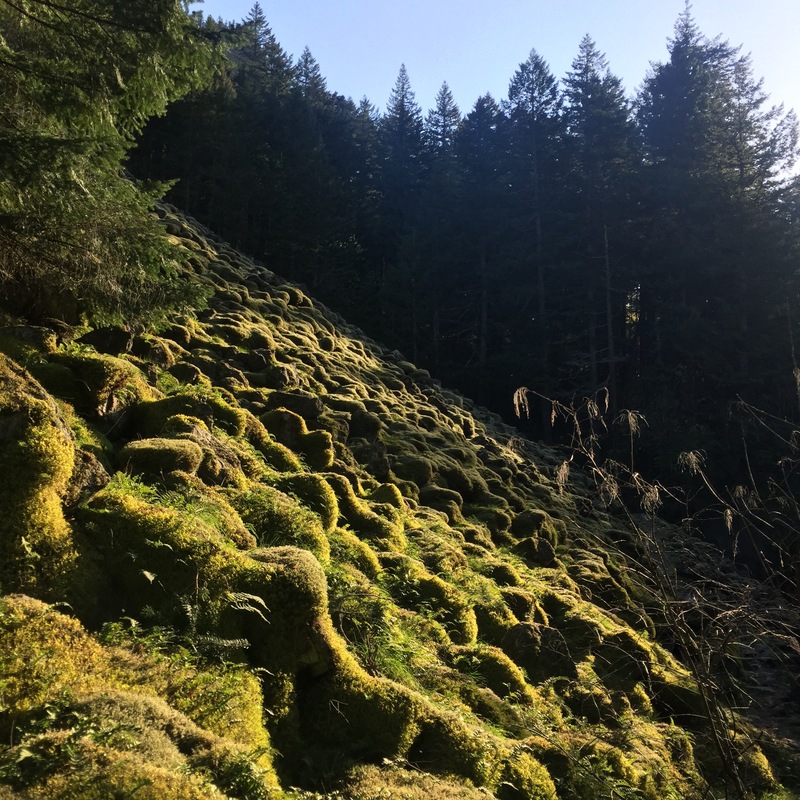 We started in the dark at 6am from Benson State Park with the first big climb of the course up to the top of Multnomah Falls (the second highest waterfall in the U.S.). The course was absolutely magnificent, while brutal at the same time. The 50K out to the turnaround point took us past 13 different waterfalls. Being from the Wasatch, I am not used to this much green! The first 10+ miles were quite a bit rockier than I expected as we passed by, up and down, a number of waterfalls. This made the course a bit trickier to navigate, especially with the rocks being slippery from the wet, mossy terrain. After the first 10 miles, you come out onto the only significant portion of pavement on the course, a 2.3 mile stretch leading to Yeon Aid Station. While I don’t normally enjoy pavement in ultras, it really wasn’t all that bad and afforded me some time to ease into a relaxed, but speedy cadence. Despite the unexpected difficulty of the terrain early on, I was feeling good and on track. Shortly after leaving Yeon, you arrive at Elowah Falls, which was my favorite waterfall on the course. When I got to Yeon again at the 50 mile mark, I knew I was done. 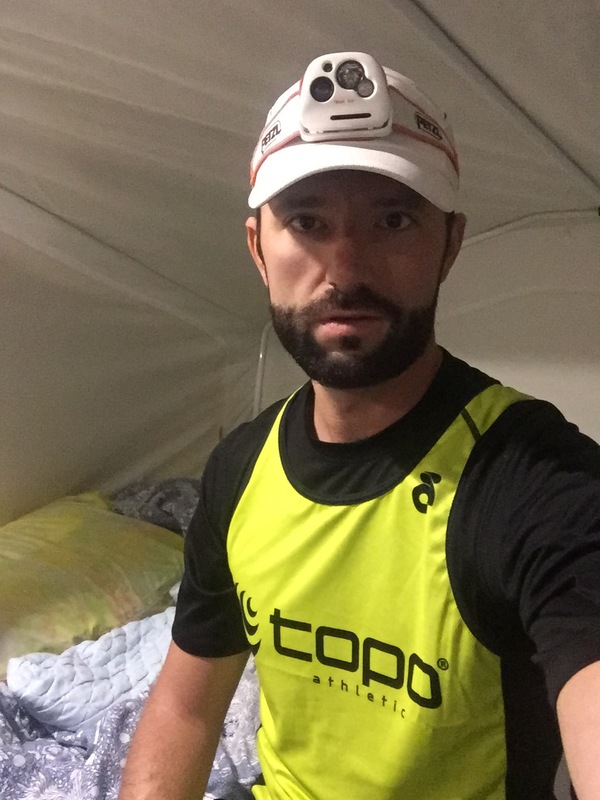 Without a pacer and without being able to solve the nausea problems between the last two aid stations, I didn’t feel it was safe to continue through the most technical part of the course in the dark. Still, I sat for a bit to make sure. My stomach was literally in painful knots and I ultimately decided to call it a day and save it for another battle. It is still early in the season and there is no reason to jeopardize that. While I always hate disappointing people and DNFing is never easy, I feel great about my 50 miles on that day and still believe I made the right decision. As I said, nausea is new for me (would love to hear in the comments how you all combat it). I clearly still have a lot to learn and I need to figure out how to react to it better in the future. I will not likely search out another Western States qualifier this year. In fact, I once again find myself thinking that I really want to focus on the 50 Mile distance (it is still my favorite by far). Only time will tell for sure, but I still have a lot coming up this year, so stay tuned!